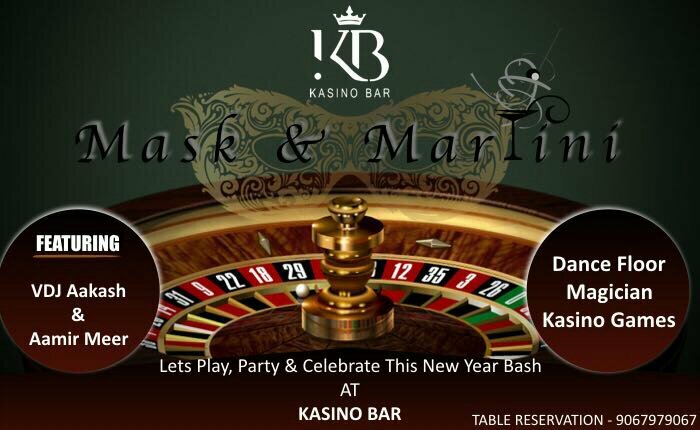 Celebrate New Year 2018 with Masks & Martini themed party at Kasino Bar. The have live unplugged night featuring Aamir Meer along with VDJ Aakash. Magician performances are some other attractions. Passes rates starts from Rs. 2500 onwards. Italian music sensations MARNIK to set the stage on fire with their electrifying music! Mumbai, December 2017: Be part of one of the wildest parties in North Mumbai asThe Stadium Bar (TSB), suburbia’s hottest hangout destination presents New Year’s Party with MARNIK, the Italian music phenomena. Emanuele and Alessandro, the talented duo of MARNIK are all set to captivate music lovers with their foot stomping music. So, put on your dancing shoes and let your hair down to indulge in an evening full of high energy, scintillating music by these internationally renowned artistes at this hippest party of suburbs. Get ready to usher in the new year with some electrifying music from this gifted duo who have impressed music lover across the world with their progressive house music. MARNIK is known for their distinct originals and tantalizing melodies influenced by trance and progressive house. MARNIK is popular for their tracks like Matador, Burn, Jump Around, Supernova and many more. Marnik is known for their chart buster tracks and are no strangers to the Top 10 countdowns. 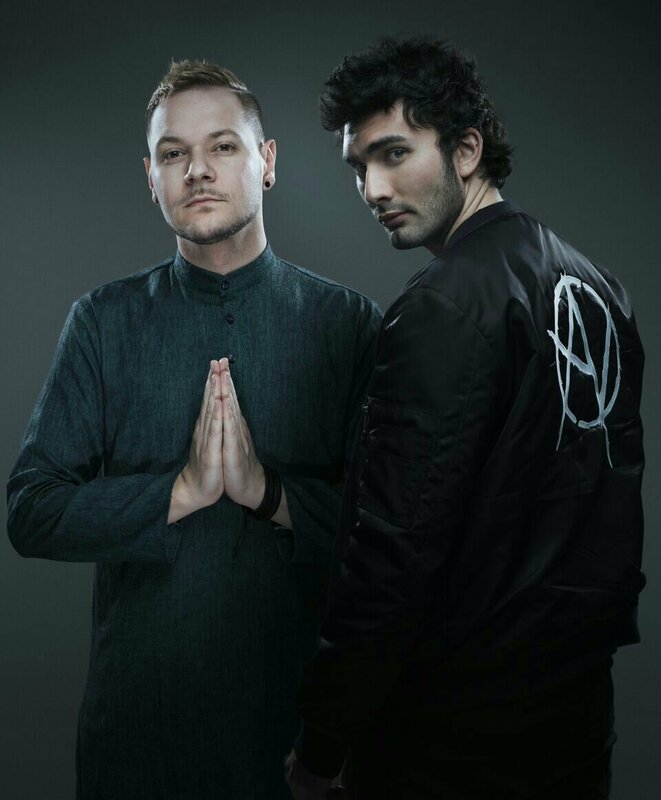 They recently collaborated with Don Diablo on ‘Children Of A Miracle’ which garnered over a dozen million streams online in just a few weeks. Marnik has enthralled the music lovers in India and abroad with their official anthem for Sunburn 2015 & 2016 in collaboration with KSHMR. Their tracks‘Bazaar’ and ‘Mandala’ where widely appreciated and a huge international hits. Book you tickets now and have a rocking party at the Stadium Bar this 31st December with MARNIK. Enjoy energetic music and irresistible fusion food and drinks. Address: The Stadium Bar, 3rd floor, DLH Park, S.V. Road, Goregaon (West), Mumbai. 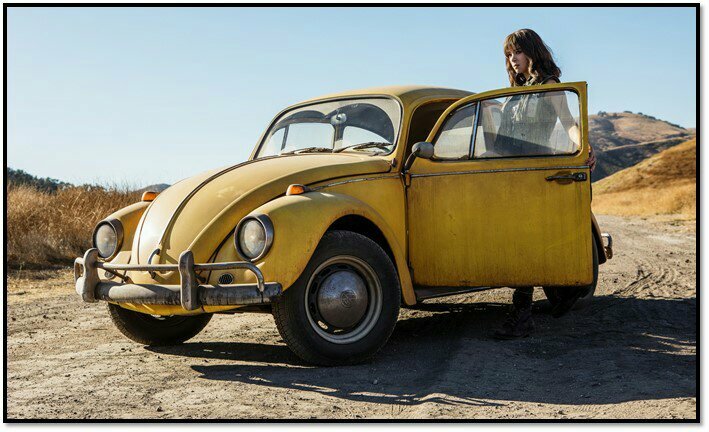 BUMBLEBEE is produced by “TRANSFORMERS” franchise veterans Lorenzo di Bonaventura and Michael Bay, along withexecutive producers Steven Spielberg, Brian Goldner and Mark Vahradian. Chris Brigham (“ARGO,” “INCEPTION”) will also executive produce. The screenplay is written by Christina Hodson (“UNFORGETTABLE”). Mumbai, 29th December 2017:Viacom18 today announced its upcoming Marathi film Aapla Manus, the network’s first regional film of the year. Directed by celebrated director Satish Rajwade, this family thriller has Nana Patekar, Sumeet Raghavan & Irawati Harshe in lead roles. The film explores the story of a young couple living with the man’s father, juggling the pressures of urban life and managing the complexity of relationships. An unexpected incident forces them to question their beliefs about their life and family. 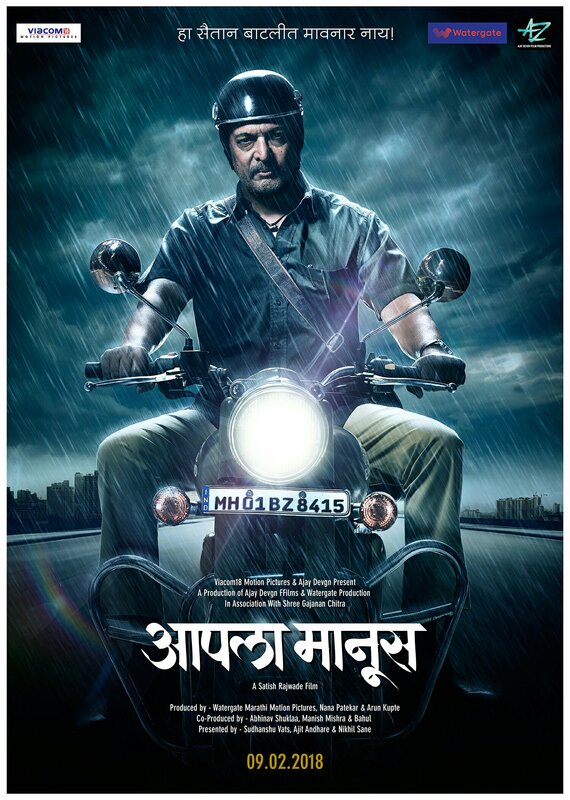 Aapla Manusmarks actor Ajay Devgan’s foray into the regional film sector as a Producer. The film promises to be the one to watch out for in 2018 not only for its stellar cast and gripping narrative but also for the vision of four industry dynamos – Viacom18 Motion Pictures, Ajay Devgn FFilms, Watergate Marathi Motion Pictures & Shree Gajanan Chitra. Kaalakaandi is one of the most awaited films of 2018. The film has already created quite a stir amongst the audience with the recent launch of its trailer. The film which is a thrilling dark comedy, is now coming out with a new song to bring in a trippy New Year. Swagpur Ka Chaudhary, which was launched at an event on Saturday is a break beat meets funk rock track with a quirky and psychedelic video with the entire star cast grooving to it. The song is sure to be a New Year’s chartbuster with its desi lyrics and angrezi music beats. ‘Swagpur ka Chaudhury’ has been sung and written by Akshay Verma and composed by Sameer Uddin. Produced by Cinestaan Film Company and Ashi Dua Sara of Flying Unicorn, the film stars Saif Ali Khan along with the eclectic ensemble of Deepak Dobriyal, Vijay Raaz, Kunaal Roy Kapur, Sobhita Dhulipala, Akshay Oberoi, Isha Talwar, Shenaz Treasury, Shivam Patil, Amyra Dastur and Neil Bhoopalam. The film is set to release on 12th January 2018. Mumbai, 23rd December 2017: National Award winning filmmaker Sanjoy Nag (Memories in March) has wrapped up the shoot of his next film Yours Truly. The film which has been shot on location in Kolkata, is based on a short story, “The One That Was Announced” by award-winning writer & playwright Annie Zaidi from the collection ‘Love Story #1-14‘ published by Harper Collins. The film produced by Platoon One Films & MDC Filmworks has also revealed its intriguing and endearing first look. Yours Truly will see Soni Razdan, who has been directed by her husband Mahesh Bhatt in cult Hindi films like Saraansh, appear on screen with him for the first time in their illustrious careers. Razdan, who is also the mother of Bollywood darling Alia Bhatt, plays the protagonist Mithi Kumar in a superb ensemble cast along with Aahana Kumra (Lipstick Under My Burkha), Pankaj Tripathi (Newton, Bareilly ki Barfi),and Mahesh Bhatt in a special appearance. Produced by Shiladitya Bora, Nikhil Chaudhary and Milapsinh Jadeja, the film is slated for a Summer 2018 release. The associate producer of one of 2017’s most loved film Newton, Shiladitya Bora has now ventured into full-fledged production with his own boutique studio Platoon One Films. Synopsis: Sometimes, love can be as bizarre as being in love with a voice and our imaginations of that person behind that voice. There is no age for us to fall in love nor does the emotion care about propriety or social norms, and it certainly does not come announced. Surely not for Mithi, as she recasts her time to investigate the strange little things that moves her heart and the unexpected places where to find them. Ranbir Kapoor, Sonali Bendre , Ayan Mukherjee and more have a blast at Star Wars Premiere! Comments Off on Ranbir Kapoor, Sonali Bendre , Ayan Mukherjee and more have a blast at Star Wars Premiere!